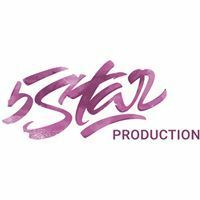 5 Star Production LLC - 5 Star Production is a premiere wedding videography agency. You will laugh & you will cry as you re-live one of the most important days of your life over and over again. Address 2710 S Palm Aire Dr. Working hours 8 AM - 8 PM, daily. 5 Star Production is a premiere wedding videography agency.You will laugh & you will cry as you re-live one of the most important days of your life over and over again.